Don’t be like that. At its most fundamental, SEO, Search Engine Optimization to give it its Sunday name, is just the process website owners follow to improve search engine rankings. If that sounds a bit tepid and technical, think again. SEO is essential armoury for online success. Especially in interesting times like these. Indeed. Now fielding questions, together with mobiles and tablets, is the personal voice assistant. Now providing answers, alongside websites, are apps and videos. Our search process is evolving. And so are our expectations. For marketers and site owners, pin-sharp SEO will make all the difference. 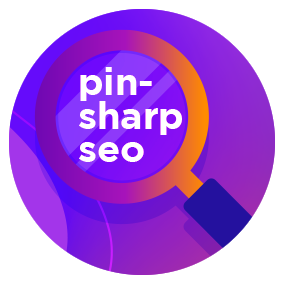 With the search process and our expectations evolving, for marketers and site owners, pin-sharp SEO will make all the difference. But isn’t SEO all about page ranking? No. Applied well, SEO won’t only rocket you up the rankings (increasing visibility and visits), it will also ramp up the quality and relevance of your content, supercharge navigation and significantly lift user experience. That’s not bad going for just one consonant and two vowels. Looking for results-driven, game-changing SEO? Let’s go. More visitors. That’s what SEO’s all about, right? It’s a big part of it. But more is only more if visitors are engaged enough to hang around, act on calls-to-action, share content and return often. On-site (or on-page) SEO sees you calling the shots; refining the fundamental elements – including copy, links and images – that make your site tick. Powerful, relevant keywords – the bridge between what visitors are searching for, and what you are offering. Short paragraphs – these invite engagement and are easier on the eye. Visitors and search engines also benefit from keyword-rich paragraph headings. Compelling content – relevant, high-quality material that uses keywords thoughtfully and naturally. Opportunities to refresh – got a load of great-but-older content lying around? Turn it into a load of great, newer content after a few hours of minor updates. Added value – effective SEO demands content that rises above the broad search term. An example? Your foodie site might offer the nutritional value of a recipe as well as the recipe and method itself. Visitors appreciate it. So do search engines. Internal links – for a smooth site that drives down bounce rates, encourages exploration and enhances user experience. Video, images and infographics – these ensure varied content – and opportunities to use keywords in file names. Mobile friendliness – optimising sites for phones and tablets helps SEO too. 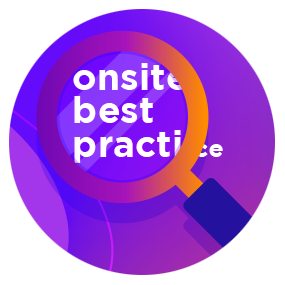 On-site best practice lifts the chances of a high ranking and also delivers sites that are a joy to read, navigate and browse. Whilst on-site SEO places you firmly in the driving seat, off-site (or off-page) SEO is about – you guessed it – generating traffic from outwith your site. quantity-over-quality. Links should always add genuine value to the end-clicker. out to sites in your sector with the good news. visitors. Just be aware that the same content shared many times is frowned upon by search engines. Stay social – A lateral way of building trust and reputation, use social media posts to demonstrate expertise and share opinion. Can Hookson provide the SEO solutions I’m looking for? Call off the search. Our expertise in all things SEO can make practical differences to your organisation. We view SEO as a mix of the technical and the creative. And we’ll help you conquer both. So whether you have a simple query, or you’re looking for detailed advice about your next big project, we’re ready and waiting.